If Congress could vote on a "clean" bill, it would end the shutdown tonight. So why isn't it allowed to vote? If the House of Representatives voted on a "clean" budget bill -- one that opened up the closed federal offices but did not attempt to defund the Obama health care program -- that bill would pass, and the shutdown would be over. Nearly all Democrats would vote for it, as would enough Republicans to end the shutdown and its related damage. (And of course it would pass has already passed the Senate, repeatedly, unless the minority dared filibuster it, and would be signed by the president.) For illustrations of the wanton damage, see here and here. So far House Speaker John Boehner has refused to let this vote occur. His Tea Party contingent knows how the vote would go and therefore does not want it to happen; and such is Boehner's fear of them, and fear for his job as Speaker, that he will not let it take place. These two points are why the normal D.C.-poohbah moanings about the need for compromise do not apply. The Democratic administration, and a sufficient number of Republicans, already agree and are ready enough to compromise to solve this problem. If the normal machinery of democracy were allowed to work, the manufactured crisis would be over. The only reason the senseless damage is being done is that hostage-takers have terrorized members of their own party. I wish John Boehner were a vainer man. (And I wish that Boehner and vainer didn't rhyme, undercutting the point.) The way he could earn a place in history, admiring chapters in Profiles in Courage-type books, and even a long swing on the university-lecture circuit would be to defy his extremist minority. And maybe eventually he will. I am reminded of these points by a very good story this evening on NPR. It's this report, by All Things Considered host Melissa Block, based on an interview with Republican Representative Charlie Dent of Pennsylvania (right). 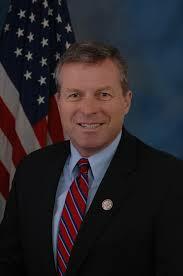 Dent has voted for the various defund-Obamacare resolutions that have come down the pike. But in the segment he explains why he thinks it's (obviously) time to return the government to normal functioning and work out health-policy differences through established channels. One reason to listen to this story: it shows, in contrast even to some other NPR coverage, how you can be "fair" in presenting a story without sinking into the mire of false-equivalence, "everyone's to blame"-ism. The other reason is for a reminder of the two basic points above. Very soon, I will return to our travelogue.